Hey there, Florida! Are you looking for ways to make this Labor Day, possibly any holiday, a success? Well we’ve got some good news for you. After a little digging, we found some of the best parks located in major cities around Florida for family picnics and recreation. Plus, there’s a couple of vehicles that can get you there. We get it, not everyone lives on the water. South Florida dwellers have it easy, but not everyone wants to drive an hour to the beach. What to do if the beach is your destination? Or if that park is a little ways away? These are the reasons why the Chrysler Pacifica has been recommended time and again for long road trips. Having the best fuel economy in the minivan class, the Pacifica has seating capacity for 7 passengers, so you can bring the entire family along for the ride. Do the kids get antsy after half an hour? The Uconnect Theatre in the 2017 Pacifica will keep them entertained for longer than that. Plus, if the beach is the destination this holiday, the Pacifica’s Stow ‘n Vac will make cleaning the car easy. Picnics are the cornerstone of family memories. Whether it’s at the park near the water or a BBQ at the beach, good times will surely be had and remembered for years to come. So if you’re packing up food to cook, or even some PB&J sandwiches for later, you need to keep things cool. 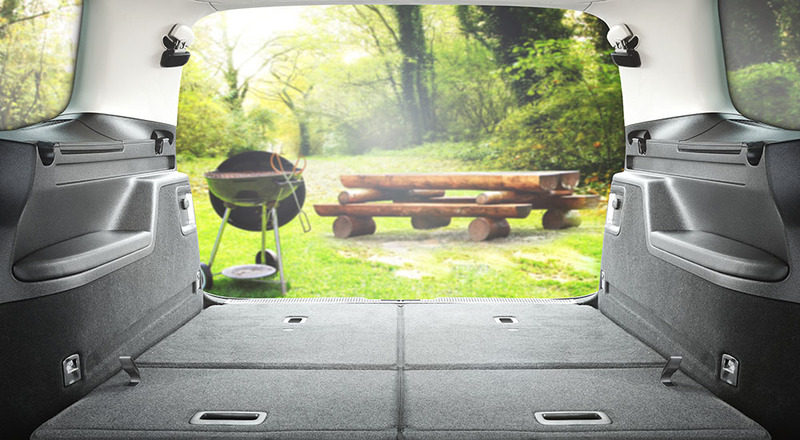 That’s where the Ram Outdoorsman comes in. Made for the outdoors, although the 2500 Outdoorsman is made for fisherman and hunters, don’t let the gritty theme deter you. The Outdoorsman is made for traveling to scenic locations while carrying plenty of cargo. It even has a cooler built into the truck. Keep your food cold while you set up camp and get ready to eat! Maybe a park or beach isn’t your destination. Maybe you just want to cool off a bit while doing some sight-seeing. Or you just need to tow a couple of jet skis to the nearest beach. The 2016 Chevy Silverado 3500hd has the power to match your needs. Able to tow a total weight of 14300 pounds (pending on the trim), it’ll be easy to bring a couple of water-friendly vehicles. Feeling a little crazy? It isn’t unheard of to turn a truck bed into a pool or install a jacuzzi. Some truck beds are a little over 8 feet long, may as well make the most of it. Wrap the truck bed in a tarp and fill it up with water. Two hours from either Orlando, Jacksonville, or Tallahassee, and just 40 minutes from Gainesville, Ginnie Springs Outdoors is right on the Santa Fe River of High Springs, Florida. Visit the great outdoors for camping, sightseeing, picnics, or taking a dip in the lovely 72-degree water. There’s even scuba diving guided classes to see the underwater life of the springs and river. First leased from the Navy in 1979, the land was developed and slowly turned into what it is today. It’s now a regional park with an observation tower, nature center, hiking trails, picnic shelters, and more. Several locations of the park also have some history tied to it. Some remnants of the 16-foot wide brick road which linked Jacksonville to Ortega are scattered around the park. This road was built as part of the preparations for troops during World War I in Camp Johnston. A great place for fishing, having a picnic, or letting the kids go wild on the playground, Crest Lake Park is another great location. Plus, there’s a dog park on the same grounds as the park itself, so if you have a furry friend that can use some sunshine and exercise, put a smile on that face at the Doggie Days Dog Park at Crest Lake. Oh, what does this park not have? BBQ grills, board walks, canoe and kayak rentals, fishing docks, picnic shelters, a playground, nature trails, campgrounds, hiking trails, and more! It’s impossible to come here and find nothing to do. It is the perfect hub for outdoor activities this Labor Day, whether you’re with the kids or on a play date of your own, it’s a lovely place to be. The forests of Florida have taken quite the toll over the years with excavation and rural development. That’s why parks like the Washington Oaks Gardens have done their best to protect the woodlands and keep the agriculture and natural habitats intact. There are beautiful oak trees, a shoreline with rare rock outcrops, a park, and of course a lovely garden to visit. Plus, Washington Oaks Gardens is a landmark for many wedding ceremonies and receptions. Lighthouse Point Park is the nature park to go to if in the Daytona Beach area. An entire boardwalk takes visitors through the trees and woodlands, home to raccoons, armadillos, birds of prey, and more. It’s 52 acres of pristine land on the north side of Ponce DeLeon Inlet. Plus, a large observation deck and tower is on the grounds to get a nice view of the entire park and surroundings. Have any ideas to share with us? Tell us on our Twitter and Facebook.